ArtFest on the Plaza is the kickoff event to Hillsboro Arts Month in October and it’s your chance to connect with new audiences. There is a booth fee of $50 per organization. A 10′ by 10′ tent and one 6′ table is provided — all set up for you! Booths may be shared with another organization. Distribute your programming materials, recruit volunteers and sell merchandise or tickets (must provide your own technology). An interactive activity or demonstration to engage patrons is highly recommended. 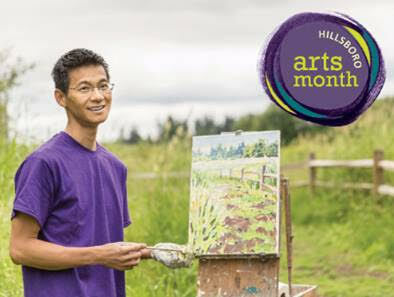 Hillsboro Arts Month is an initiative of the HACC designed to highlight the arts and culture community of the City of Hillsboro. Throughout October, HACC promotes and encourages the public to attend performances, take a class, visit an art exhibition, learn more about local culture, participate in literary readings, and more as an effort to support our local organizations and engage in more opportunities for creative expression. to reserve your booth. Space is limited, available on a first come, first served basis. Your reservation is not confirmed until payment is received.